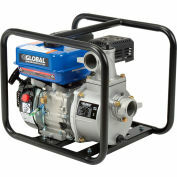 Designed for high pressure transfer, flood recovery and other general purpose applications, the GTP100A Trash pump is powered by a United Power- UP190 gasoline engine and designed to handle solids that are no larger than 1-1/2” in diameter. 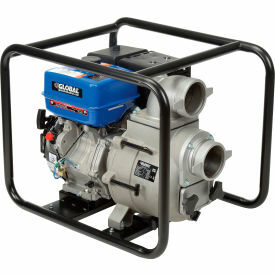 Features a 4” Intake & Discharge connection, built in check valve to prevent backflow and a ridgid frame that protects the pump while offering a tie down location for transportation. 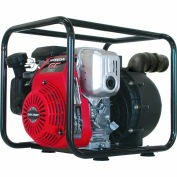 14 Horse Power, maximum flow of 458GPM . 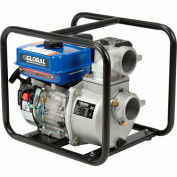 Engine driven pumps are non-submersible and self-priming. 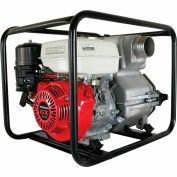 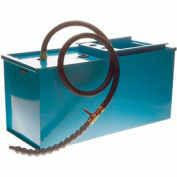 Pump engine is equipped with a low oil sensor that will automatically shut off the engine in the event that the oil level drops too low to safely lubricate and cool the engine.